Our children are thoroughly enjoying the new tasty hot school meals. The menu meets and exceeds all the food standards we are working on, with as much locally sourced fresh produce as possible. During Terms 1 and 2, children have been able to have an input into the menu and our new team will take children’s suggestions as we refine the menu during the term and year. At each morning registration, children will daily be able to choose one of the three healthy and tasty menu choices. We recognise the importance of nutritious meals for happy, healthy learners, and our team of dedicated cooks, together with the School Nutrition Action Group (SNAG), work hard to offer a healthy and appetising selection of school meals. Parents who think that their child may be eligible for free school meals, please contact the School Office who can help further. Additional funding is allocated to the school for any child entitled to free school meals – regardless of whether they take up the offer of not. Children in Reception class are offered free milk every day until their fifth birthday. Please ask your class teacher for advice if your child is dairy intolerant. Only fruit or vegetable snacks are permitted. KS1 (Infants) Breaks: Children may bring their prepared fruit or vegetables in a small, named plastic container that they can collect as they go out to play. During the final afternoon session, children are given a piece of fruit or vegetable as part of the ‘Healthy Schools Fruit and Vegetable’ scheme, for which there is no charge in KS1. KS2 (Juniors) Breaks: Children may keep a piece of fruit in their own bags on their pegs. The Healthy Schools Fruit and Vegetable Scheme has been introduced to the Juniors and parents are opting to pay for this opportunity. Water is readily available for children during the day. Junior children can bring a bottle if they wish to fill up at the water machines rather than use the water fountains. 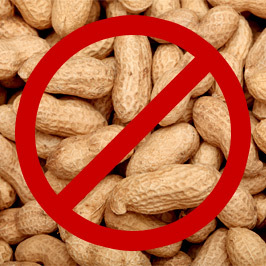 Bathwick St. Mary Church School is a nut-free zone as we have a number of children in the school with a serious allergy to nuts. We need to ensure that this remains a high priority for us all. If you have any questions or you spot any potential dangers or situations we may have overlooked, please contact the School Office on 01225 465654. We are seeking everyone’s cooperation in ensuring that our school will remain nut–free and generally alert to possible allergies. Thank you for your understanding and co-operation. Do not bring into school any obviously nutty food (eg. packets of nuts/peanut butter sandwiches/Tracker bars). This also applies to parents bringing food items before/after school – as well as packed lunches and class parties. Children who wish to bring in birthday treats will need to check with the class teachers very carefully. ‘Eating with friends’ and ‘Choosing my own food’ were the two main things that the children said they liked the most about the school dinner experience. In 2017, the School Council introduced ‘Free Choice Friday’ where one Friday per term, children in Juniors could choose where they sat at lunchtimes. This proved to be a real hit! In addition, we held a number of ‘picnic lunches’ in the summer term which were enjoyed by all.